This is the officially licensed Catwoman accessory kit from the hit Batman movie “Dark Knight Rises”. 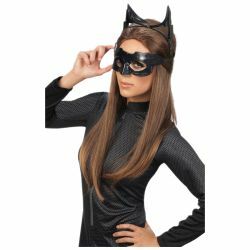 The kit includes Catwoman ears headpiece, mask, and goggles. Costume kit is colored as pictured and is one size fits most.